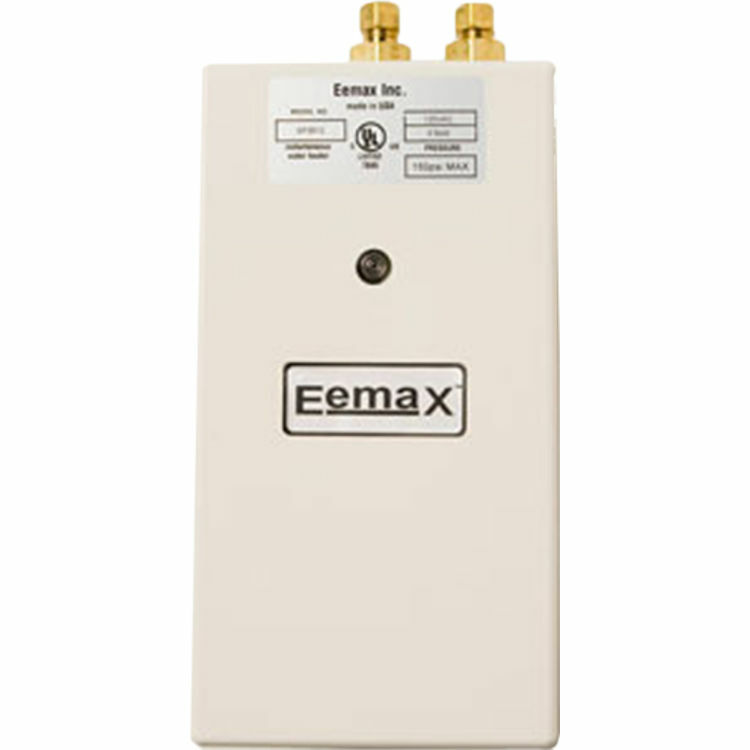 EEMax SP95 Electric Tankless Water Heater. SPHW-Electric Tankless Water Heater Eemax offers a series of single point of use units that are perfectly suited for hand washing while cutting energy costs and saving space with its compact design. Additional features include; fits virtually below any sink, on demand hot water, 99% Energy Efficient, and a limited 1-year warranty on parts, and 5-year warranty on leaks.